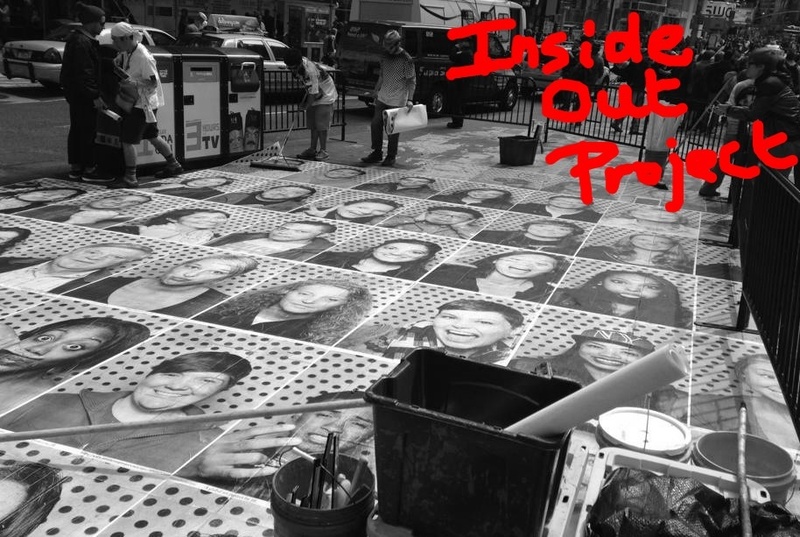 The Inside Out Project and Caroline’s New Adventure! 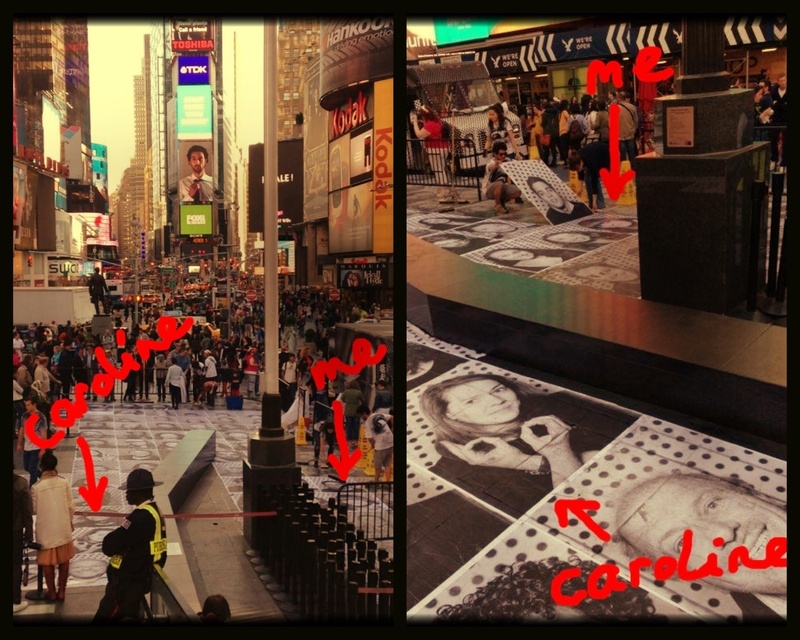 I mentioned in my Project Inspire post, that I had met Julie in the queue for ‘something’ in Times Square. That ‘something’ was the Inside Out Project. It was only a couple of days before the NYC trip that I was recommended to go and get involved in this. Recommended by none other than Stephanie the dancer! In what seems to be true 60 Postcards style, it is another lovely link. What is the Inside Out Project? For around three weeks, there was a photo booth stationed in Times Square where you could queue for your photo to be taken. This photo would then be made into a poster and pasted on the floor of Times Square. I know – such a cracking idea! There was absolutely no way that I was missing this. 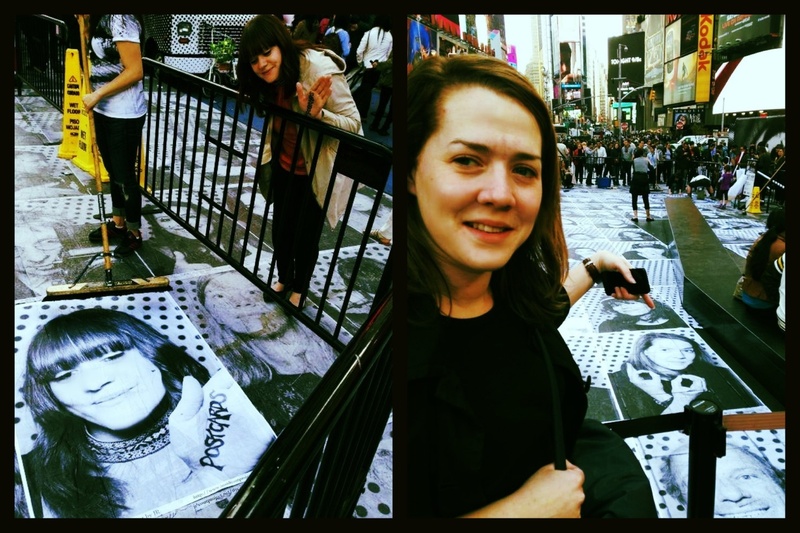 JR, whose identity is still undisclosed, is the artist behind this project. He started off as a graffiti artist, soon realising that he had much large scale visions of making his mark around a city. Those visions became reality and he took Inside Out to a global level. Oh, and guess where JR is from? Paris. Of course he is. Woman Are Heroes – Portraits of women in Sierra Leone, Liberia, Sudan, Kenya, Brazil, India and Cambodia. We queued for a couple of hours for this, Carloline and I taking shifts to grab a coffee. It was here that we were able to people watch – to see who else was keen to be a part of it. It was here that I met Julie who is in Project Inspire. After all of this waiting time, we couldn’t help but laugh anxiously when we realised you have 30 seconds in the booth and only ONE shot. (Cheers for that.) You see, we had a plan. 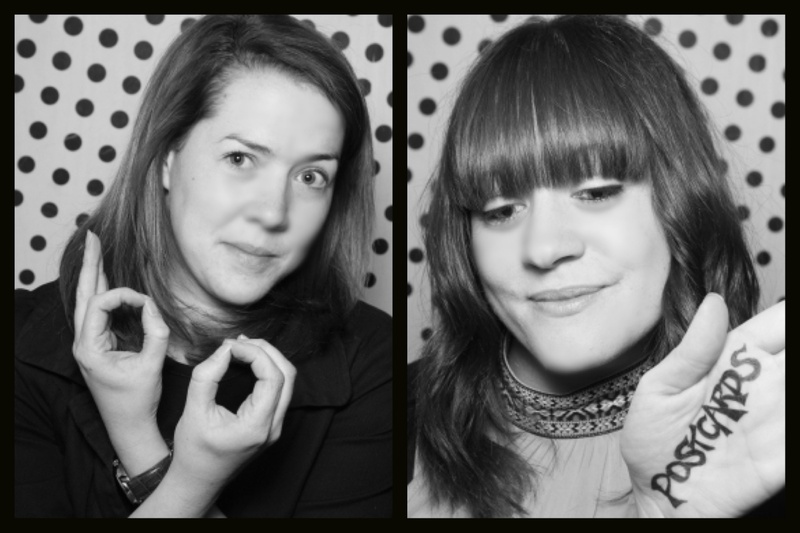 Caroline was making a ’60’ sign and I had written ‘Postcards’ on my hand (had to avoid getting sweaty palms as much as possible). To complete our master plan, we decided that we would try to get our posters put next to each other. Imagine our delight when the printer PACKED IN just after our shots had been taken. I suppose it can’t all go too well, hey. 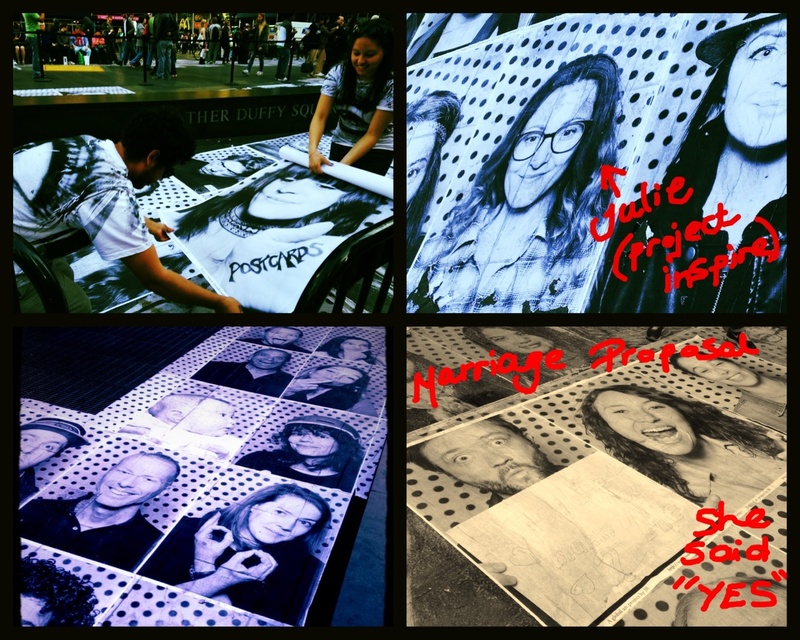 So, putting the photos together may not have been possible but here they are below…..
Mission accomplished! It was worth the wait. I am so grateful to Carloline for sticking it out with me. Caroline has been a huge support throughout this whole project, and more than that – through losing Mum. For that I will be eternally grateful. Before this adventure, Caroline worked a 9-5 office job. With her endless talents, Caroline would live a crazy, busy life outside of work – spending many an hour singing in her band, acting and auditioning. These are the things that make her tick. After this trip to NYC, Caroline no longer had a 9-5 office job. She attended an audition whilst we were there and she only went and nailed it, making it on to a 6 week drama course in NYC. So we came back, Caroline quit her job – and is out there NOW studying and ready to be an actor on her return! Amazing. “Follow your dreams” is a phrase that we often hear. I’ve told Caroline that I don’t think this applies here, though. Not when you think about it. Dreams are something that are only possible when you are sleeping. This is Caroline following what she was always meant to do. A perfect example of grabbing an opportunity, throwing fear out of the window and making things happen. Caroline – I couldn’t be more proud of what you are doing. To finish, I’d just like to say a Happy Father’s Day shout out for yesterday to my wonderful Dad (and all Dads). Thinking of those who have lost their fathers. The milestones and dates are exhausting and I hope today is a little easier. 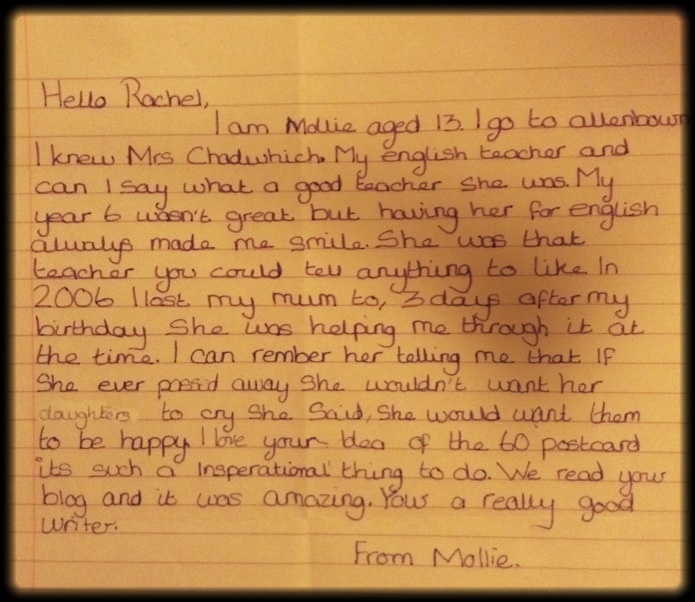 See my last post to see a comment written by Mollie. Should stop reading these at work, they will wonder why I’m crying!! Brilliant post, love the Inside out project 🙂 And Caroline – good for you following your dreams, good luck with this new adventure in your life.